There are no comments for St. Paul's Chapel Memorial 9-11. Click here to post the first comment. 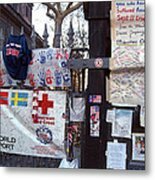 This image from the sidewalk of the fence in front of the courtyard of St. Paul's Chapel behind the fence and the courtyard is the graveyard of the chapel and just beyond is Ground Zero. 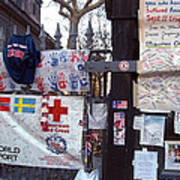 This somber image was photographed November 2001. 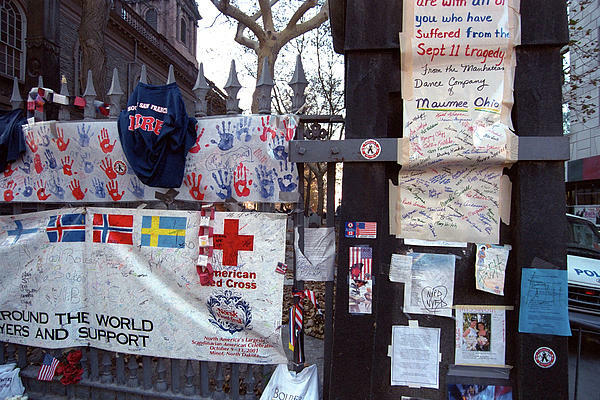 People from all over the country and the world left mementos and their signatures in remembrance of all those who had been murdered on September 11th 2001.